Prof. Ng Shun Wing is currently Professor and Coordinator of the Programme of Master of Education at the University of Saint Joseph, Macau. He is also Adjunct Professor of Department of Education Policy and Leadership (EPL) at the Education University of Hong Kong (EdUHK). Previously, Prof. Ng was Head of EPL and Programme Coordinator of the Master of Education and Doctor of Education at the EdUHK. He graduated from the Chinese University of Hong Kong and completed his Master Degree in the University of Nottingham, UK. He received his PhD in Education from the University of Exeter, UK. Prof. Ng was the Programme Leader of the Training Programmes for Aspiring Principals, Newly Appointed Principals and Experienced Principals from Hong Kong, Mainland China and Asian countries. He has been working collaboratively with the Hong Kong Education Bureau, the Work Bank, Korean Education Development Institute, universities in Macau, Asia-Pacific and China and other educational foundations regarding research projects and continuous professional development programmes for principals and teachers. Prof. Ng has published three books and more than a hundred refereed articles in international journals and book chapters regarding education policies, international education, educational change and reform, home-school relations and citizenship education. He has been invited by many editors of international journals as reviewer and is the editorial board member of Teacher Development and Education Journal. He has been invited as external examiner for PhD and EdD dissertations by University of Western Australia, University of Nottingham, University of Bristol, University of Saint Joseph, Macau, The Open University of Hong Kong and The Chinese University of Hong Kong. His article entitled "Rethinking the Mission of Internationalization of Higher Education in Asia-Pacific Region" in the journal of Compare was awarded the Annual IISE Best Article 2013 by the Institute for International Studies in Education (IISE) of University of Pittsburgh, USA. Prof. Ng's research interests include social class influence on education, parental involvement in school education, education policy and change, higher education, school leadership, teacher education and citizenship education. Speech Title: Teacher Balkanization: Does Leadership Matter? Abstract: With the implementation of school-based management (SBM) in Hong Kong, important aspects of governance are delegated to parents, principals and teachers. The process of including parents to participate in school, aiming at achieving the institutional goal of partnership, emerges as a far more complicated process than expected. Moreover, the externally imposed innovation of parental involvement does indeed exert influence on teachers’ value orientations, creating a significant impact on school cultures. This keynote aims to introduce an interpretive study which identified three balkanized groups of teachers with different ideological orientations in times of change. The first group consisted of those who supported and welcomed parental involvement whereas the second one was composed of those who showed resistance to change and would eventually isolate themselves from this imposed innovation. The third group of teachers, a majority, did not withdraw from change and needed to be provided with incentives and support for implementation of change. Teacher balkanisation is detrimental to implementation of change as it may lead to poor communication and coordination among teachers. To manage teacher balkanization in times of change, the school leaders’ personal beliefs and their early intervention strategies are of paramount importance. Data from interviews and observations suggested that whether parental involvement could be effectively implemented depended on the result of the ‘wrestling’ process arising from demarcation of teachers’ ideological orientations within a school. The notion of ‘wrestling’ refers to the assimilation process in which teachers’ various ideological orientations are mutually influencing or contradicting one another in the school context. Due to the effect of assimilation, a dominant value which will facilitate or impede educational change will eventually appear. To conclude, prior to initiating change, teachers should be provided with sufficient professional development training in specific areas. It is not the quantity of professional development programmes that matters. Rather, what is important is the focus and quality of such programmes designed to help teachers address the innovation directly and effectively. 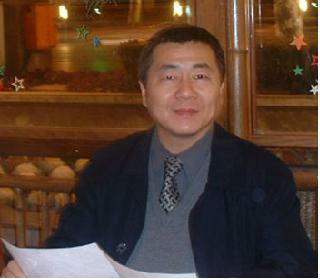 Yixun Shi, Professor of Mathematical and Digital Sciences at the Bloomsburg University of Pennsylvania, USA. He earned his Ph.D. from the University of Iowa in USA, and has been a faculty at Bloomsburg University of Pennsylvania since 1992. His research areas include mathematical modeling and applications in finance and management, numerical optimization, applied statistics, and mathematical education. He is also serving as the editor-in-chief of two mathematics journals and one education journal. Abstract: In United States, as well as in a number of other nations, university and college have a set of required General Education Classes for undergraduate students to take. The purposes of general education are to help develop students’ ability to think critically and communicate clearly, to let students have an entire university experience, to assure broad exposure to areas of study beyond the major, and to gain a deeper understanding of the world. However, many students come to general education classes with low interests, see those classes as a burden instead of benefit. All they want is to pass those classes and get done with them. In order to change the behaviors of students, we need to raise student interests in these classes. This presentation proposes two strategies in teaching general education mathematics classes: (1) teaching the mathematics subjects through applications and examples that most students may like to see, such as games, and (2) teaching the mathematics subjects within the contents of students’ major study fields so that students feel that the class is relevant. In this presentation, I will give a few examples of applying those strategies in teaching general education mathematics classes. Professor Tang Siew Fun is a Professor and Dean, Learning and Teaching at Curtin University Malaysia. She has strong credibility as a Dean, Learning and Teaching, an impressive track record of strategic leadership and management at a senior level and proven experience in the area. 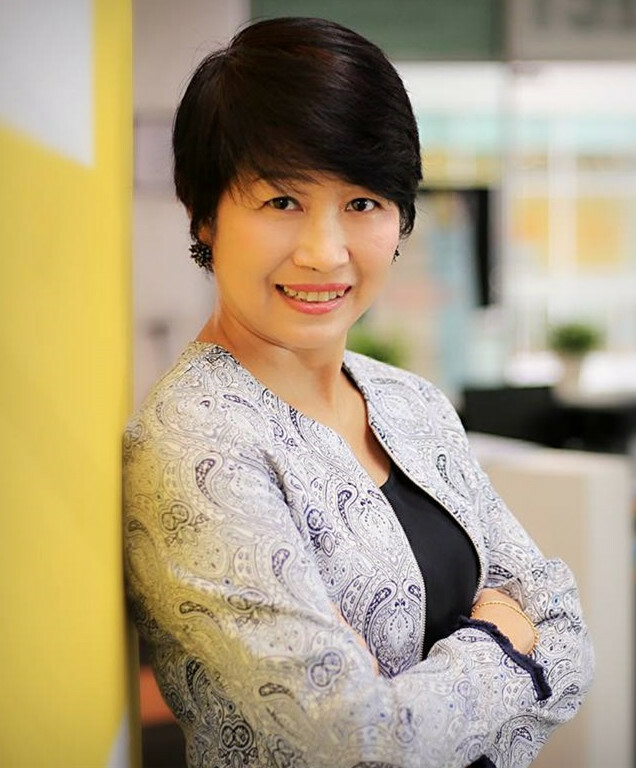 Professor Tang holds a doctorate in Educational Management, Planning and Policy and has a proven record in educational leadership with great contribution in driving innovative and pioneer teaching and learning initiatives. She prides herself leading the way towards transforming the teaching and learning landscape in the country. Her work has evolved from being a passionate excellent teacher to an effective educational leader, shifting the paradigm for the teaching profession in ensuring student success. Her previous employment was with Taylor’s University, having spent 18 years holding various academic and administrative positions. Prior to that, she taught at other public and private universities in Malaysia and worked with two multi-national companies. Under her leadership, Taylor’s University has re-defined student learning for better academic outcomes and being at the forefront of transformational teaching and learning. She was the Conference Chair for Taylor’s Teaching and Learning Conference, an international conference, for five consecutive years since 2013. Professor Tang is a teacher developer who has always been in touch with the teachers she developed and creates valuable experiences for them. Her major research work focuses on teaching engagement evaluation processes and design, student holistic development, and innovative teaching practices. She is noted for her personal and professional efforts to develop lecturers, as she believes “students learn successfully if teachers teach successfully”. She also believes that all students deserve an education that will challenge, inspire and prepare them to become better citizens as well as for a better future. She was appointed as an assessor panel with the Malaysian Qualification Agency (MQA) since 2012.